Have you ever imagined a world without artificial light? Well, that was the world just a few generations ago, and our brains are thought to still be wired for those much darker conditions. So all the light that we now have after the sun goes down can create a challenge for our natural sleep patterns. This is because exposure to light can decrease the release of a very important hormone: melatonin. Since melatonin has a critical role in regulating our body clock, light exposure at night is thought to be a key reason for people not being able to get enough sleep these days. While all light exposure close to bedtime can have an impact on your body clock and ability to sleep well, it may help to be particularly cautious with certain types of light exposure. Blue light can be particularly powerful in reducing the release of melatonin, and this type of light is strong in energy-saving lightbulbs and LED lights. Plus the bright screens that our phones and computers have — also rich in blue light — can keep us awake and contribute to restless nights. 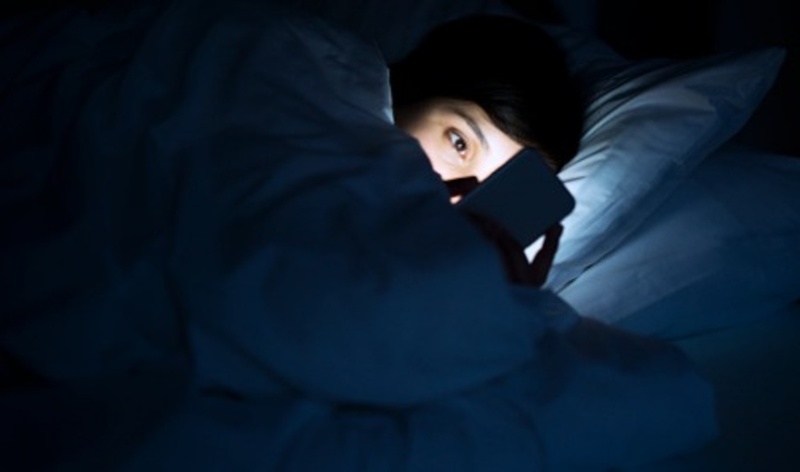 If you’re looking for ways to sleep better – the way nature intended – you can start by avoiding blue light sources and bright screens in the hours leading up to bedtime. A dim red night light is one easy option to consider. Wind down: pick up a paperback book and enjoy some relaxing reading before bedtime. Or listen to soft music or soundscapes if that’s what relaxes you. Then turn this into an evening ritual by adding another relaxing touch – a soothing cup of chamomile tea, or the aroma of lavender oil may help. Find help in evidence-based herbs: clinical studies have shown that a specific combination of extracts from valerian and hops, known as Ze 91019, can help relieve sleeplessness. Studies suggest the valerian extract may help prepare the body for sleep before bedtime, while the hops extract may act on receptors for melatonin which influence the circadian rhythm and can help restore healthy sleep–wake patterns over time. Read more about this natural sleep remedy here.